Hello, everyone! After making a delicious pot of potato soup, I have decided to take a break from my Allergy Friendly Substitutions Series to share the recipe. For those of you that have been following my posts thus far, the following soup recipe provides for an excellent opportunity to practice using some of the dairy and gluten free ingredients we have been discussing. As written, this recipe is free of the Top 8 allergens and gluten-free. This recipe is very flexible, though, so don’t be afraid to make it your own! Combine potatoes, onion, carrot, celery, and ham in a large saucepan or stockpot. Add chicken broth/stock, and bring to a boil over medium-high heat. Cover, reduce heat to Medium, and simmer until vegetables are tender (approximately 20-25 minutes), and broth is partially reduced. Stir occasionally. Add parsley, salt, and pepper. Simmer an additional 5 minutes. Add butter, and stir constantly, until melted. Reduce heat to medium-low. Using a measuring cup, scoop out 1/2 cup of soup and pour into a bowl. Add cornstarch, and stir until smooth. Pour mixture back into stockpot. Reduce heat to low. Add coconut cream, and stir constantly, until thoroughly combined. Add cheese a little at a time, and stir constantly until cheese is completely melted. Garnish with green onions, and serve immediately. For a lighter version, use coconut milk instead of cream, and decrease the amount of margarine. For less sodium, use low sodium chicken broth, and minimal added salt. Try adding a pinch of cayenne pepper (or crushed red pepper) for a little extra “kick.” You can also use dairy free pepperjack cheese. I love to add fresh dill to this soup in the summertime. You can try adding other fresh herbs as well. 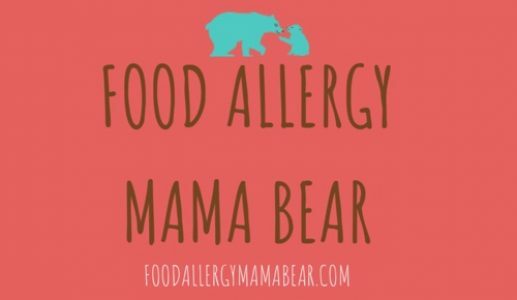 Previous Post Food Allergy Mama Bear is now on Facebook!